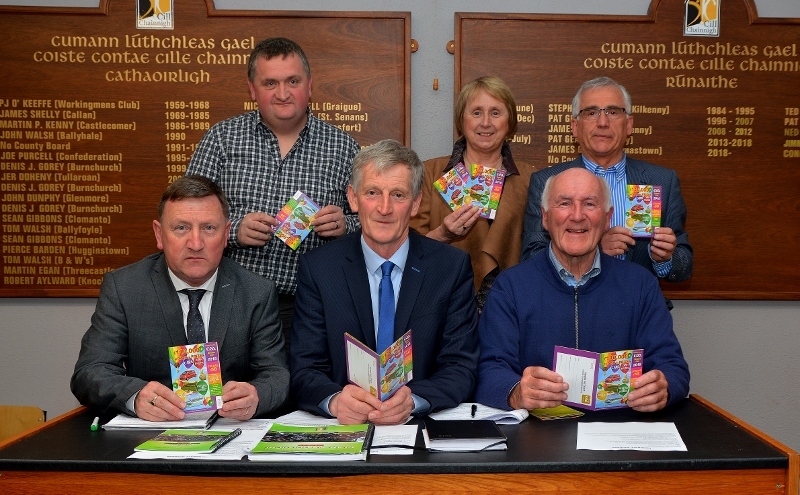 The Hurlers Co-op draw was launched at the April meeting of the County Board by former Kilkenny Hurler Eddie Keher. The draw which is entering its thirty seventh year provides all Clubs and the County Board with a valuable income stream year-on-year. This year the prize fund is almost €110,000 which will be returned to support the facilities and development programs within the county. The cost per ticket is €50 which equates to €10 per draw, this provides excellent value for money to the customer. Over the past ten years a total of €4.5million has been gathered in income, over half has been returned to clubs. Please ensure you club has a plan in place to sell the Hurlers Co-op draw tickets, ensuring a maximum return with no risk to the club, over the next few weeks.